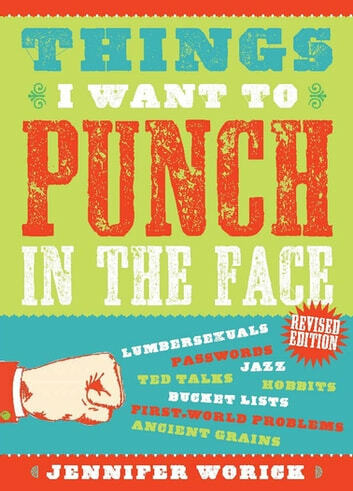 From auto-tune to evites, and TED talks—this compendium of the most annoying people, places, and things will make you roll your eyes and laugh out loud. 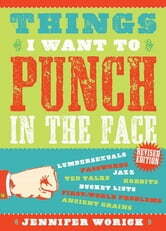 This revised edition of *Things I Want to Punch in the Face *includes humor writer Jennifer Worick’s newest and most popular diatribes about the incredibly annoying things she encounters in everyday life and modern American society, like: ancient grains, yoga pants, cold-pressed coffee, cosplay, polar bear clubs, and those ubiquitous family car stickers. And there’s more, so much more. From nail art to celebrity baby names, passwords to mixologists, consider yourself #blessed as you chuckle at the copious bounty of annoyances that chap Jen’s hide . . . and yours.